Six early-20th-century buildings on a five-acre parcel of land known as Historic Wintersburg Village in Huntington Beach, Calif., tell the story of early Japanese immigrant life in the United States -- and local preservationists are racing against the clock to save the structures from demolition. 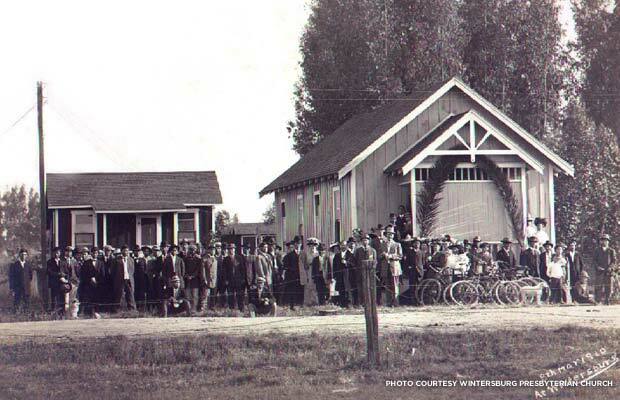 Wintersburg, which dates back to the mid- to late-1800s, was long a rural agricultural community and became the center of the early 20th-century Japanese-American life in Orange County. Today, what is left of the village (which was annexed into Huntington Beach in 1957) are six buildings: the 1910 Wintersburg Japanese Presbyterian Mission, the earliest Japanese church in Orange County; the 1910 manse, or clergy home; the 1912 home of early Wintersburg resident Charles Furuta and his wife, Yukiko (built on land purchased by Charles Furuta in 1908); the Furutas' c. 1908 barn; the 1934 Wintersburg Japanese Presbyterian Church; and the 1947 ranch house belonging to the Furuta family. 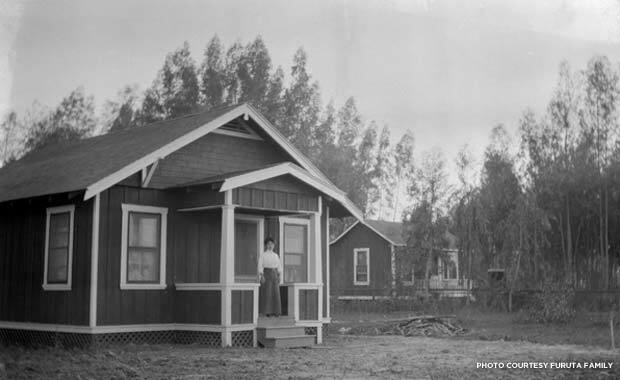 Yukiko Yajima Furuta stands on the porch of her new bungalow in Wintersburg Village, early 1913. Together, Urashima says, these buildings tell the story of early Japanese settlement of the West, while also serving as an important reminder of the struggle for civil liberties that Japanese immigrants faced. The Furuta’s house and farm, once a thriving goldfish and flower farm, along with the Wintersburg Japanese Presbyterian Mission, are rare surviving examples of Japanese-owned property purchased prior to the California Alien Land Law of 1913, which denied “aliens ineligible for citizenship” the right to own land in the state. Further, the 1910 mission stands as monument to the early immigrant community’s spiritual and social center. A surviving document outlining the founding of the mission reveals its importance to Wintersburg’s Japanese community. But today, the future of the six buildings is uncertain. In 2004, the land was sold to Rainbow Environmental Services, which has since proposed demolition of the structures. An Environmental Impact Report was completed, and the National Park Service inspected the site in May 2013, concluding the buildings were in good shape and could be restored, and were potentially eligible for listing on the National Register of Historic Preservation, a declaration echoed by the National Trust. 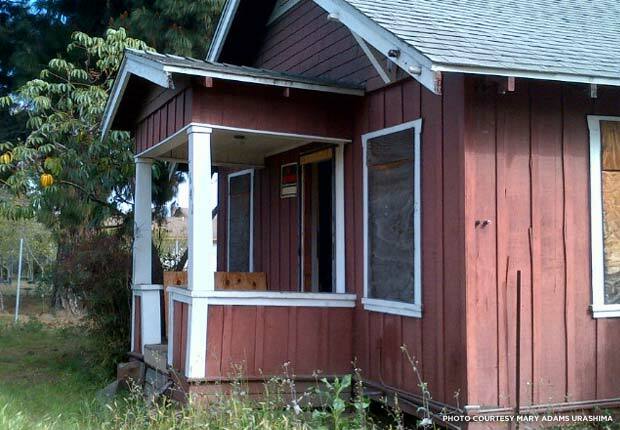 In November, the Huntington Beach City Council, along with the owner, agreed to provide 18 months for the Historic Wintersburg Preservation Task Force to raise enough money either to buy the property from the owner, should the owner agree, or relocate the structures to a new location. In the meantime, Urashima says she will continue to research and share the history of Historic Wintersburg to demonstrate its importance to California history and how its preservation will create educational opportunities and transform its neighborhood. 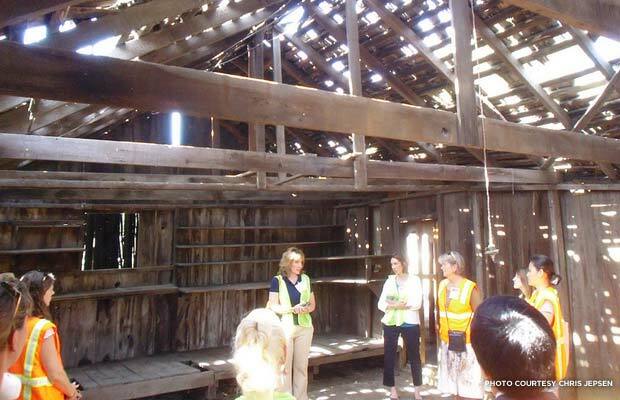 Mary Urashima talks about Historic Wintersburg, inside the Furuta barn, as part of a California Preservation Foundation workshop in May 2013. Urashima’s book, Historic Wintersburg in Huntington Beach, will be released next month. And the Furuta family will be featured on an upcoming episode of public television series Our American Family. While Urashima is hopeful for a good outcome, she acknowledges the challenges that lie ahead.